Two years ago, Howard Panter and Rosemary Squire sat proudly atop the largest theatre business in the world. 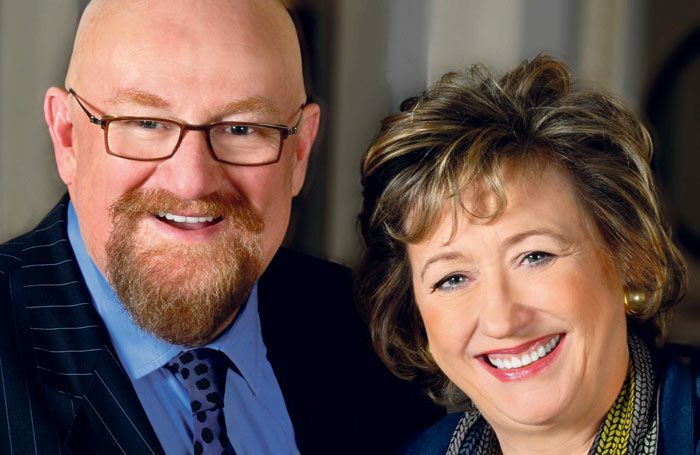 Over a period of 25 years, the pair had built up Ambassador Theatre Group from two theatres – the Duke of York’s in London and the New Victoria Theatre in Woking – into a global, integrated business that produced plays, musicals and pantomimes, sold theatre tickets and ran nearly 50 venues worldwide, employing 3,500 people across operations in the UK, US, Germany and Australia. They topped The Stage 100, this publication’s annual list of the most influential figures working in theatre, for seven years in a row (above such household names as Andrew Lloyd Webber and Cameron Mackintosh). They were the first British operators to run a Broadway theatre and saw the company they founded through two private equity buy-outs. Panter was knighted, Squire (who was made a dame in the 2018 New Year honours) won numerous entrepreneur and women-in-business awards. By the end of their tenure, ATG turned over about £185 million. Then, suddenly, in May 2016, they were out. Both retain shares in the company they founded, but in terms of day-to-day operations, they are no longer involved. ATG’s private equity owner Providence brought in a new team led by Mark Cornell, whose CV includes stints at Sotheby’s Europe and LVMH. Panter and Squire are slightly reticent about precisely what went on, but are keen to stress that they continue to work with ATG and want it to succeed – not least because they have a vested financial interest: after Providence, they are the next-biggest shareholders. But, if there is one thing that is clear from spending any time in Panter and Squire’s company, it is that they are not ones to rest on their laurels. It is not hard to see how their combined force of personality helped propel ATG to become the market leader it still is. 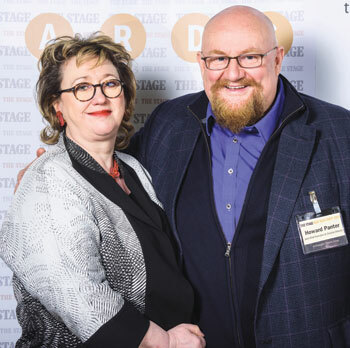 The couple – who have been husband and wife since 1994, as well as business partners – make a complementary pair (just look at their answers in the Q&A to what they would have done if they didn’t work in theatre) and their enthusiasm for theatre is palpable. Every time I have spoken to them in the past 15 years, there has always been some new initiative on the horizon: a scheme, a project, a wheeze, preferably several at once. Stasis is a dirty word. Today is no different. I meet them in their shiny new offices for Trafalgar Entertainment, the company they set up immediately after departing ATG. The offices sit on the top floor of a glossy building on the Strand, have 360-degree views of the London skyline – you can see the London Coliseum, the London Eye, Buckingham Palace – and, predictably, plenty of room to expand. RS: Tearing tickets in a cinema. HP: In Woolworths, working in the store room moving boxes. It was a holiday job. RS: Working in the box office at the Mayflower Theatre Southampton. As I was good at the numbers, I moved to the accounts office. HP: When I left LAMDA, I was stage manager, production manager, lighting designer and designer – everything – at the London Contemporary Dance Company. It was really the first contemporary dance company in this country and came out of the Martha Graham Dance Company in New York. I was all the technical and design departments rolled into one. That they thought I’d be flexible and cheap is probably the truth. RS: You need to be resilient. Don’t take setbacks, find a way around them. Keep going, keep trying and keep coming back to it. HP: Try to build relationships with people you respect and you think you’ll develop lifelong working relationships with. People say with accommodation it’s ‘location, location, location’. 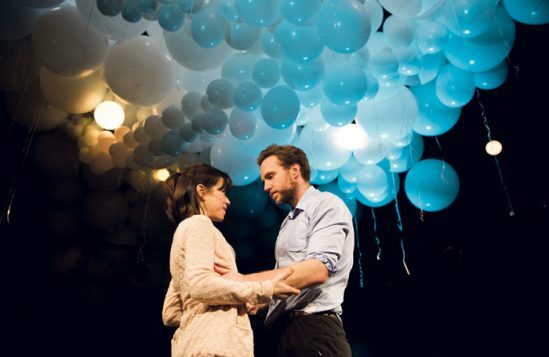 With theatre it’s ‘relationships, relationships, relationships’. 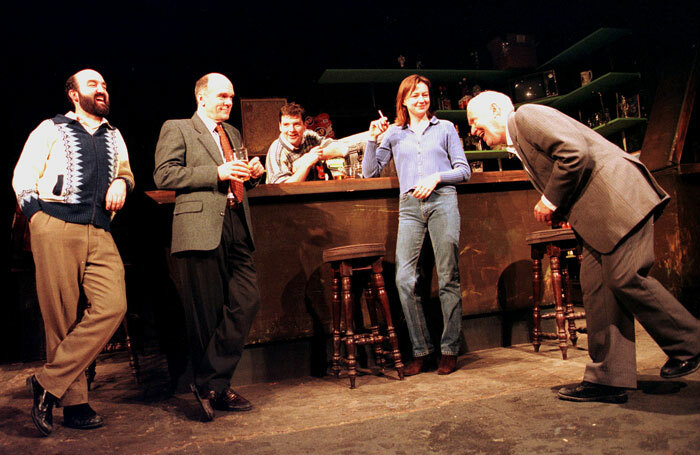 RS: Ian Albery, who was my first boss in the West End. He’s now retired, living in France. He gave me lots of rope, so to speak, and I learned a lot from him. Also, for both of us Eddie Kulukundis has been massively influential – he was the very first chairman of ATG and gave us the vision and ambition to buy our very first theatre. And he backed us. He was a major producer and he understands that the heart of any theatre business is what happens on stage. HP: Michael Codron was very important to me. 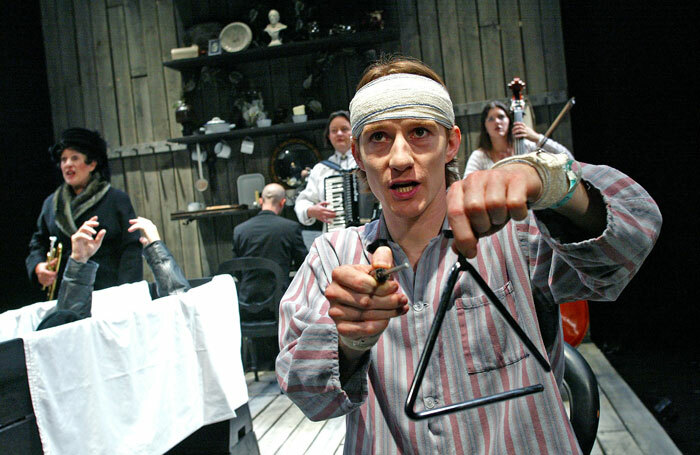 I worked with him as a company stage manager and he knew what he was doing and was right at the centre of new writing. Michael ran an extraordinary company – at that time [in the 1970s] it possibly had eight or nine shows running simultaneously in the West End as well as on the road. He was clearly one of the greats in terms of breaking new writers in this country. His roster was extraordinary. It was a great experience working with someone who really understood how the commercial theatre worked – he’s unrivalled, still, as a play producer in his lifetime, I would suggest. If you hadn’t been producers and chief executives, what would you have been? RS: Possibly an academic. My two passions in life have been languages – I studied Spanish and Catalan – and theatre. Possibly if I hadn’t had this passion for theatre, I would have stayed in academia. HP: I fantasised about being a drummer in a rock’n’roll band. HP: I have a lucky tie – it’s blue with black spots – and I have lucky socks, which are black with white spots. Spotted items. Trafalgar Entertainment is still in its infancy. But, even by their own standards, the growth over its first two years of existence has been pretty remarkable. Initially bankrolled by Squire and Panter themselves, the company gained extra investment from existing friends, associates and business partners from their days at ATG, plus a few new investors including Richard Branson. 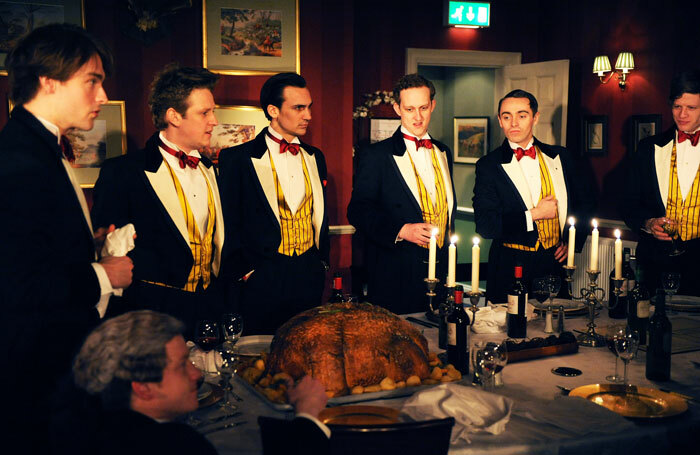 Then, earlier this year, things stepped up several notches when they were approached by institutional finance in the form of Barings, which soon became majority shareholder, buying out a number of the private investors (but not Panter and Squire), who were able to cash out. It all sounds rather familiar. But they insist there are differences from the relationship they had with Providence and ATG’s previous owner Exponent. In other words, Barings is looking for ongoing profits rather than one big lump sum when the company is sold in a few years, as with ATG. But similarly to their experience at ATG, it means Panter and Squire have “a war chest” to work with and a significant one: Barings is even bigger than Providence with $306 billion in assets under management, compared with $57 billion at Providence. So, they have set about buying up assets, essentially replicating the model they developed at ATG, but telescoping the process into a shorter time frame. “Someone said to us, ‘You’re building ATG plus one,’ and that’s how we like to think of it,” says Panter. “We’ve always believed in the integrated model,” adds Squire. “That means you need to create content and all the ancillary pieces around that – ticketing, marketing, retail, merchandise. All of those are really important elements. But what drives the business is what happens on stage. Again, the company has begun with bricks and mortar. 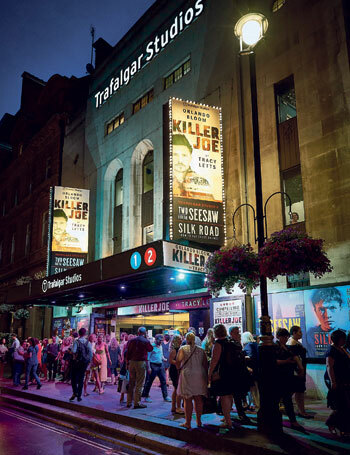 First with Trafalgar Studios, the two-space West End playhouse that they developed while at ATG and then brought with them to Trafalgar Entertainment. This was joined by Trafalgar Releasing, a rebrand of Picturehouse Entertainment, the live cinema distributor that specialises in screening content from companies including the Royal Shakespeare Company, Glyndebourne and the Royal Opera House. They see this as a big growth area and will screen their own theatre shows, for example their production of The King and I currently running at the London Palladium, but also other producers’ shows, such as Red by the Michael Grandage Company. There are also plans to open a “high-end, five-screen boutique cinema” in Chiswick, which will be the first of five that Trafalgar Entertainment intends to launch. The cinemas will operate under the same brand identity as the group’s theatres. 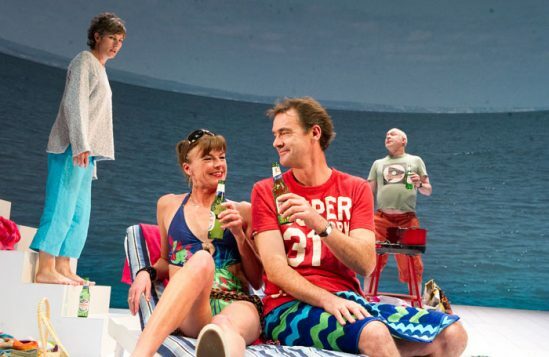 The pair are also looking to acquire other theatres – in London, around the UK and abroad. Indeed, they were recently one of the unsuccessful bidders for the Theatre Royal Haymarket, which eventually went to Leonard Blavatnik’s Access Entertainment for more than £45 million – an extraordinarily high sum for a West End theatre. She continues: “But we’ve met Len. He’s a very cultured, intelligent, interesting guy and he has a fantastic team. I think the pricing of the Haymarket was different [from other West End theatres], because that theatre is a jewel. It’s beautiful and I can understand why someone would pay that much. It’s like having a beautiful painting. Whereas I think with a lot of theatres – less attractive theatres that don’t have ‘curb appeal’ – it’s different because you are looking at a business, not a beautiful trophy. While they might have been unsuccessful in that attempted purchase, Panter and Squire do have one new acquisition – and it’s a big one – to announce. They have bought Stagecoach, the market leader in the stage school franchise business, from its current private equity owner Encore Capital. At first this might seem like something of a departure for the pair, but on further inspection it fits the integrated model they have always espoused. “Stage schools are an area that Helen [Enright – Trafalgar’s chief financial officer and business development director] and I have been really interested in for years. I think it’s a massive growth opportunity,” says Squire. “We always did creative learning at ATG, but it maybe wasn’t a priority. But Helen and I had always wanted to develop it so it was coherent across the piece. I think for any kind of performing arts skills you get much more authenticity with professionals and it’s great if it’s connected with buildings, but at ATG we never really had time to do it. There are plans to grow the stage school franchise internationally – Panter lists Canada, Germany and Australia as examples of areas where he feels the company could expand. There is also – completely coincidentally – a rather lovely link to one of Trafalgar’s other major projects, Bartlett Sher’s lavish West End production of The King and I, starring Kelli O’Hara and Ken Watanabe. Two of the kids currently appearing in that production have come through Stagecoach’s talent agency: Squire and Panter’s ‘fully integrated model’ in practice and with a human face. 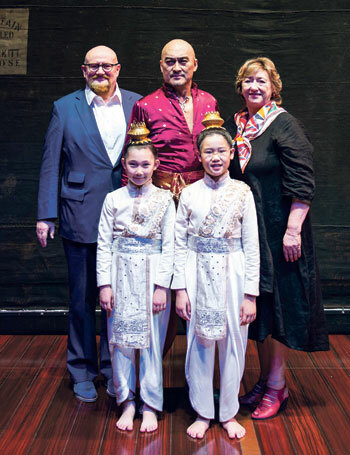 The King and I is the largest of several shows – as many as 10 when co-productions are included – that Trafalgar is currently involved with. Others include The Rocky Horror Show, which is touring the UK and will soon have a Broadway outing; The Height of the Storm starring Eileen Atkins and Jonathan Pryce at Wyndham’s Theatre; and Patrick Barlow’s The Messiah starring Hugh Dennis and Lesley Garrett. There are also exciting-sounding plans for The King and I to be followed by “a series of annual classics each year in the West End”, which Panter believes could capitalise on the summer tourist market. They will also soon be responsible for bringing two of the subsidised sector’s recent big hits into Trafalgar Studios: Nine Night from the National Theatre and Misty from the Bush. 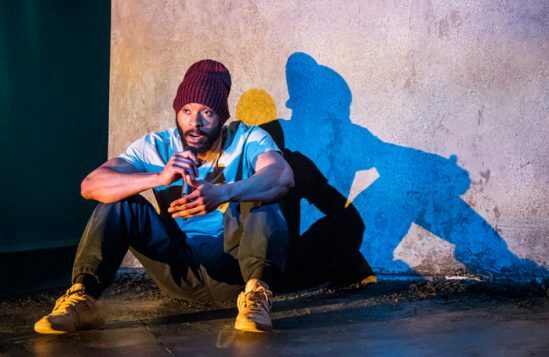 Both these plays are by young black British writers and represent a commitment to staging diverse work that dates back a long way for the pair, who were among the producers of the musical Carmen Jones when it played at the Old Vic in 1991. Another area where the pair feels that UK theatre is sometimes lacking is its insularity – both in terms of taking British work abroad, but also importing international work to the UK. Along those lines, they have plans for a big international tour of The King and I. Closer to home, there are also plans to expand into family entertainment and pantomime, something they oversaw at ATG with the creation of First Family Entertainment. 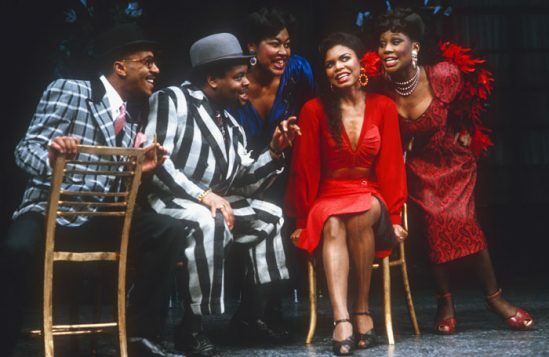 That business was shuttered after the pair left, with the dates that had been programmed with FFE shows at ATG venues instead going to Qdos Entertainment, run by Nick Thomas and Michael Harrison. Panter and Squire feel there is room for a second big player in one of British theatre’s most lucrative areas. 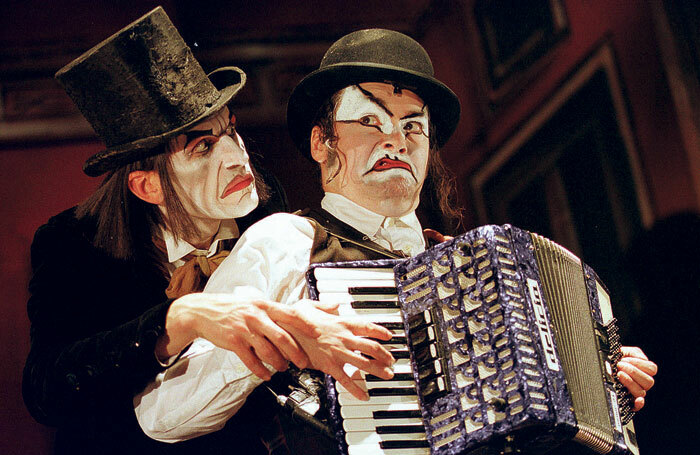 Another area the pair are sniffing around is ticketing: part of their business model at ATG had been to control the ticketing to their venues, but now they are independent producers and theatre operators, they are reliant on using ATG Tickets for Trafalgar Studios. Like the pantomime plans, it’s early days, but they are in talks with two ticketing companies. 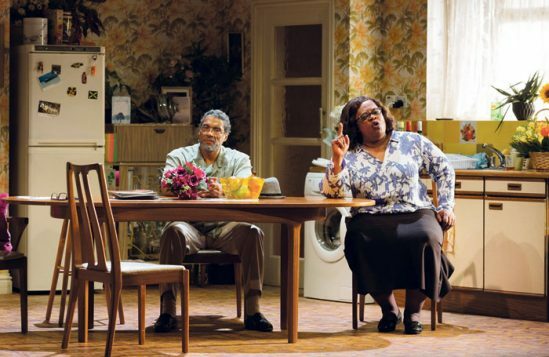 If that wasn’t enough to be getting on with, they are also in talks with a number of producers about setting up subsidiary deals – much in the same way that Sonia Friedman Productions became a subsidiary of ATG. Squire, a former president of the Society of London Theatre, also has plans to rejoin SOLT’s board. 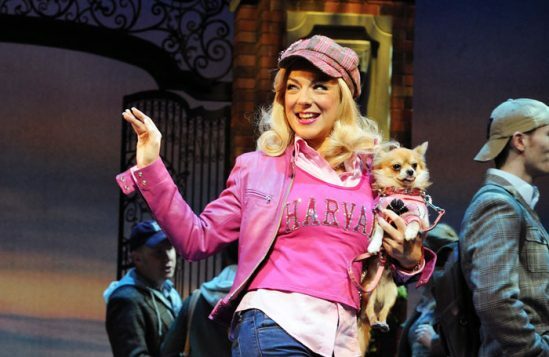 She thinks the West End is “buoyant” at the moment, boosted by the advent of live broadcasting of theatre shows, which both are convinced will be a significant growth area. However, looking beyond the capital, they have concerns. “The road is tough at the moment,” says Panter. “I think it’s quite volatile out of the big cities. Generally it’s tough – not for something like The Rocky Horror Show or The King and I – but if you talk to anybody trying to do good, middle-range touring, it’s very hard. 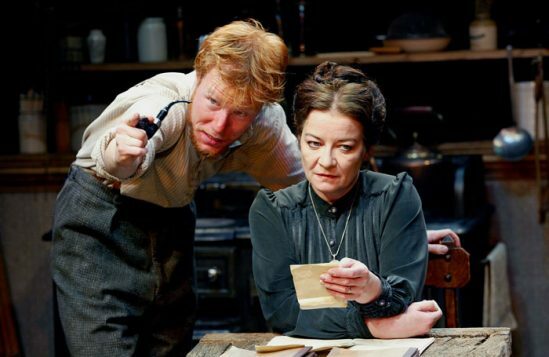 I think it needs to be star-driven or a huge, beloved title or you have to have a great theatre – somewhere like Canterbury [the Marlowe Theatre] – where it’s really engaged with the community. I ask them whether that means that they will tend to be looking outside the West End, to which Squire makes two intriguing responses. The first is to point out that “some independents change hands from time to time and we’re prepared to sit and wait and take the long view”. So, does that mean that Panter and Squire could end up buying back the company they left suddenly two years ago? Could it even happen quite soon, given that most people expect ATG’s current owner Providence to put the company up for sale in the next couple of years? Both their long-serving assistants came with them to Trafalgar (“having them was a great bonus”, according to Squire) and other ATG alumni including business development director Helen Enright and executive vice president David Lazar are also on board. 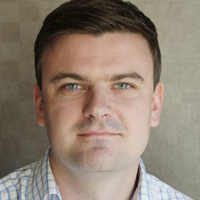 They have been joined by other key figures including corporate finance and project director Alexander Schmidt and the producers Matt Parritt and Daniel Brodie. The latter has come from London’s Royal Court, and is also Squire’s son from her first marriage to agent Alan Brodie. “It’s both easier and more difficult,” says Panter. “On the one hand, [if you own lots of theatres] you’re on a treadmill having to fill them and on the other hand, you can put your product where you choose. One is tempted to think that it won’t be too long until Panter and Squire are back on the same treadmill they had at ATG, with numerous theatres to programme. Not least because when I ask Panter about good pieces of advice he has been given during his career, he quotes Eddie Kulukundis – one of the key figures in the early rise of ATG. If that sounds like expansion for expansion’s sake, though, Panter is also keen to stress that size isn’t everything.